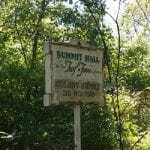 (POOLESVILLE, MARYLAND) – That beautiful lawn that’s the envy of your neighborhood often starts at a turf farm like Summit Hall Turf Farm in Poolesville, Maryland. William Wilmot started the farm in 1948. He got the idea when someone asked about buying pasture grass for his lawn. 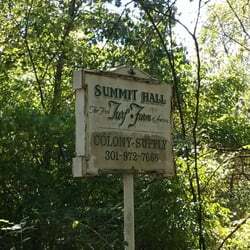 William realized that people were willing to pay for rich, well-established, good turf, and established Summit Hall, the first turf farm in America. Frank Wilmot, William’s son, runs the farm today. He says that growing the acres of lush grass that’s transplanted onto your yard involves more than spreading seed and hoping for the best. “Fall is our busiest time. We seed in late summer and early fall. We prep the fields: plow, disc and harrow. That loosens the soil, makes it level, and gets rid of stones and other debris,” Frank explains. “Then, we apply a starter fertilizer and finally the seed.” He trusts Mother Nature to provide rain so that he doesn’t have to irrigate. “Grass will grow through the late fall and spring and get strong roots,” Frank adds. “The rest of the year, we mow and fertilize until it is ready to harvest.” It takes 14 to 18 months before a field of grass is ready to be cut by the sod harvesting machines. Frank has several fields in cultivation, so while one is ready to harvest, others are somewhere else in the growing cycle. When the sod harvesters begin slicing the turf and rolling it into long sheets, Frank looks for about 1/4 to 1/2 inch of roots in the long sheets of harvested grass. He says that is the ideal length for grass to get established in a new lawn. Homeowners installing sod should prepare their lawns the way Frank prepares his fields. He recommends working the soil to get 2 to 4 inches of broken, loose soil that is free of debris. If homeowners follow the instructions from their landscaper, the new sod with thrive and they’ll have a lush, green lawn. Even if you didn’t just put down new sod, preparing your lawn for the winter is important. Grass doesn’t die in cold months. It goes dormant, but there is a lot going on under the soil. Straighten up the lawn. Remove dead branches from shrubs and trees. This is a good time to prune some trees, but check with your Extension Service for advice on which trees can be pruned in the fall and how to do it. Keep mowing. Keep the grass clipped to 3 to 4 inches. This makes it easier for other treatments to be more effective. Rake up the leaves. Leaving them to rot leads to matted clumps that encourage fungus and breeding places for insects. Pile raked leaves loosely on the bed. The leaves break down over the winter into good compost. Aerate the soil. This lets oxygen, fertilizer and water reach the roots. Have your soil tested. It will give you detailed information about any supplements your soil needs. Mid-to-late fall is the ideal time to fertilize. A well-fed lawn comes up strong and green in the spring. Follow the guidelines and only apply what is needed to prevent run off. Use a dry lawn fertilizer. A walk-behind drop spreader gives better coverage, but a hand-crank spreader is effective for smaller lawns. Fill in bald spots. If anything grows in bald spots, it’s usually weeds. A lawn-repair mixture contains seeds, a “quick-start” fertilizer, and a protective mulch. Do not pile up mulch against the trunk of trees. That prevents oxygen from reaching tree roots and encourages fungal and insect infestations. Mulch should be 4 to 5 inches from the trunk, about 2 to 3 inches deep, and extend to the radius of the drip line. Resist the temptation to just store the lawnmower in the shed. Perform a little seasonal maintenance. Drain gas, clean the blades, remove the spark plug, and replace the air filer. Now you can sit back and enjoy the winter, knowing that come spring, you’ll be ahead of the lawn-care game. Thank you! 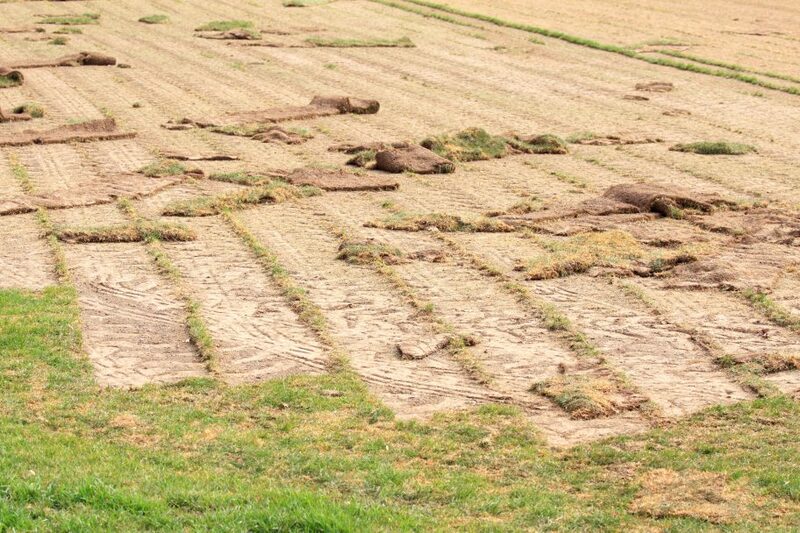 Who in Maryland provides sod and seeds for athletic fields of parks, schools? Hi! Thanks for your question. There are a lot of sod farms in Maryland. If you google “Maryland Turf Farms” you will see plenty.